Take a good hard look at image AS11-40-5922 from Apollo 11, which was allegedly taken from the moon's surface. 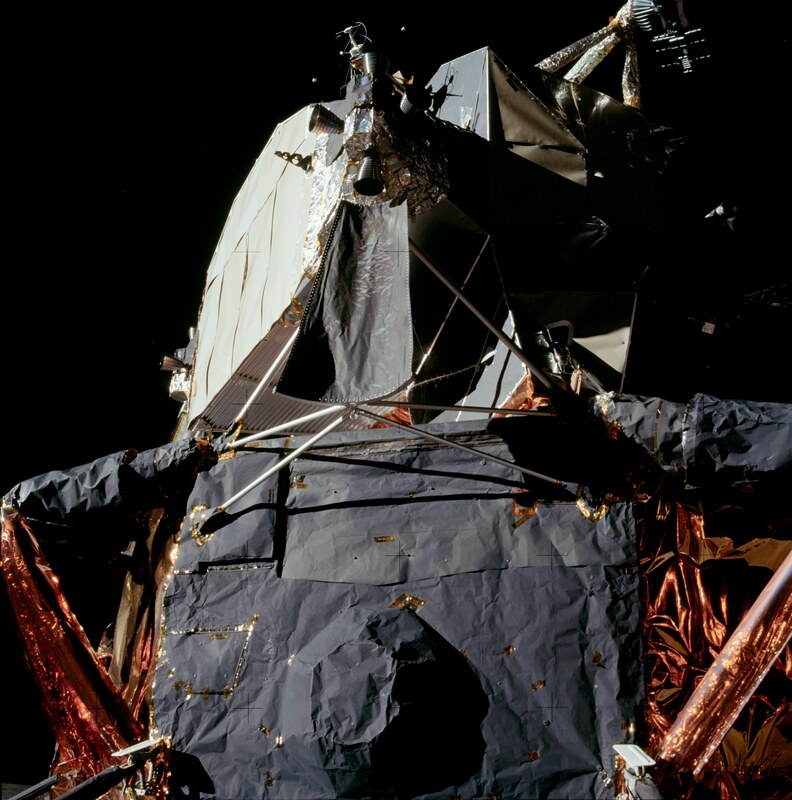 This six billion dollar fine piece of American engineering landed men on the moon. Open the above image in a new window and make sure it is expanded to its full size. Upon close inspection one might notice that the Lunar Lander, a supposed six billion dollar hallmark of American engineering, is in truth made out of cardboard paper, a few old curtain rods, a roll of roofing paper, some floodlight holders, gold foil, and lots and lots of scotch tape to hold it all together on the hostile environment of the moon's surface. “ It doesn’t matter how much cardboard, gold foil, ‘band aid’, duct tape is used in the space industry, because underneath the trashy outward appearance the fancy high-tech is hidden. Even when it looks like total junk it’s sturdy enough for deep space missions , launches and whatever it takes to go to space. This page was last modified on 22 March 2019, at 14:52.